This listing is for a random blind packaged figure. We are unable to take requests for specific figures and you may get duplicates even if you order more than one. Your favorite Super Dragon Ball Heroes characters are back in this adorable series of chibi-style mini figures! 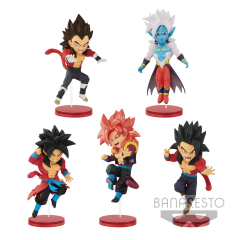 Each 2.8” in size, choose from Goku: Xeno Super Saiyan 4, Vegeta: Xeno Super Saiyan 4, Gogeta: Xeno Super Saiyan 4, Gattai Mira, and Son Gohan: GT Super Saiyan 4. 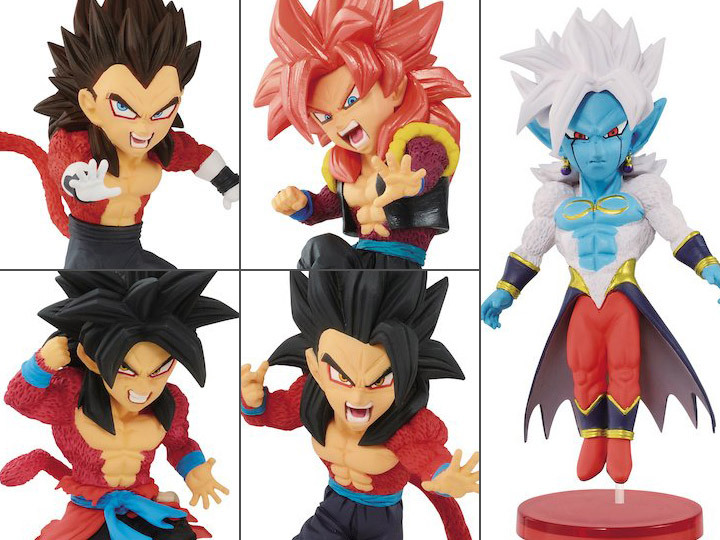 Each comes with its own display stand and is filled with classic Dragon Ball spirit!